Blogging about "America's Next Top Model" has certainly been an adventure for me. Actually getting to interview the girls from Cycle 7 and 8 was fun and an honor to be asked to do. That being said, there comes a time when it feels like something has run its course and it's time to move on, and that's where I am right now with Top Model 411. I hope you've enjoyed following "America's Next Top Model" on Top Model 411 as much as I've enjoyed bringing it to you, but this will be my last post on this blog. I want to wish everyone who reads this a Happy and prosperous New Year and also let you know that you can still follow me on my other blogs Hip Candy, Michelle O. Style, Hip Trip Advisor, and if you're not already, you can follow me on Twitter! It's been fun, and again, wishing you a fabulous 2010! Top Model Cycle 13 kicks off on September 9 on The CW at 8/7 Central. Lauren Conrad and Kim Kardashian to Guest Judge on Top Model's Cycle 13..
Lauren Conrad and Kim Kardashian can't get enough of reality TV! The stars will appear as guest judges in the upcoming season of America's Next Top Model. Selected because of their presence in the fashion community, the two will critique the fourteen girls competing in the hit CW show's 13th cycle. The former Hills star -- who debuts her LC Lauren Conrad clothing line for Kohl's this fall -- will appear on the Sept. 16 episode. Kardashian, who opened a designer clothing store on Keeping Up With the Kardashians, will serve as a judge alongside host Tyra Banks, Nigel Barker and J. Alexander on Oct. 21. ANTM premieres Sept. 9 at 8 p.m. EST. Fo ELIMINATED. Natalie was previously eliminated before Fo and Celia and she wasn't at all happy about it. Only 3 remain, Aminat, Allison and Teyona. WHO will be America's Next Top Model? Tyra Mail! Top Model Auditions in Dallas TOMORROW for Cycle 13..
America's Next Top Model Cycle 13 Casting Call in Dallas TOMORROW! 1. No lining up overnight and no lining up prior to 6:00am. Wristbands will be handed out the morning of the open call beginning at 7:00am. 2. Colors of wristbands indicate when you should return to the venue. We encourage you to leave and come back. There is no advantage to getting a wristband early. 3. Only women applying should stand in line. If someone is just short of being 18, she can have one guardian with her. 4. No jumping in line or holding places for others. 5. Casting staff will give special instructions for the disabled. 8. Casting staff wearing official ANTM gear outside the venue may ask you for information in advance but be careful who you talk to and avoid anyone trying to charge you anything to participate. Don’t miss your chance for TV fame, $100,000 and TOP MODEL history! WHAT: AMERICA’S NEXT TOP MODEL comes to Dallas, TX in search of aspiring models who are 5’7 and under for the first time in TOP MODEL history next Saturday, March 21. The CW’s reality series AMERICA’S NEXT TOP MODEL, created by the multi-talented Tyra Banks, gives real women an opportunity to prove that they can make it in the high-stress, high-stakes world of supermodeling. The reality series follows a group of young women with various backgrounds, shapes and sizes, who live together in one house and vie for a modeling contract. DETAILS: Interested applicants must bring three photographs of themselves, each clearly labeled on the back with their name. One must be a close-up of their face, the second must be a full-length photograph of their entire (clothed) body, and the third must be a full-length photograph of them wearing a swimsuit, and one of these three photographs may be in black and white. Producers are looking for a variety of models including plus size models. Polaroids are acceptable as long as they are clearly visible. Applicants must be five feet and seven inches (5’7) or under in height, between 18-27 years of age, a United States citizen and currently living in the United States. * Cameras will be on location; so all applicants need to arrive camera ready! For more information, visit The CW. Three people were arrested and six others hurt Saturday after bedlam broke out while they waited to audition for "America's Next Top Model," police said. Police didn't know what prompted the chaos involving hundreds of people outside the Park Central New York hotel in Manhattan. The panic left the street outside the hotel littered with shoes and clothing, according to news reports. "It was pretty scary," Jessica Paravati told WNYW-TV. She said she was caught up in a stampede after waiting on line overnight, hoping for a shot at stardom on the reality show. Two women and a man were arrested on disorderly conduct charges, police said. Authorities also shut down the audition, saying it wasn't properly organized. Fo's Cute Top Model Makeover... That She HATED. The makeover show went down on Top Model Cycle 12 and I thought Fo's makeover was the cutest! But of course she didn't love it... she cried when some of the other girls got extensions because she really wanted long hair too. But hello! The short pixie was cute on her! This girl cried at the salon, then she cried on Nigel's photo shoot set, but it wasn't until she came in at the bottom two at the judges panel that she realized she needed to stop being a chump about her cute hair. Jessica was eliminated this week. Isabella was eliminated last week. 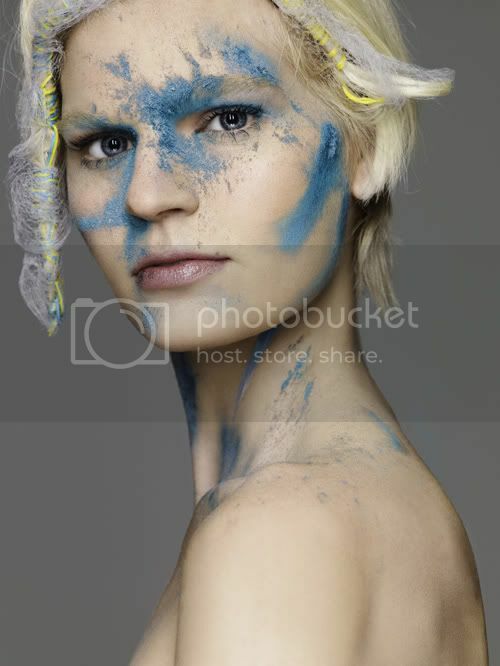 Catch "America's Next Top Model" [Cycle 12] the season premiere, Wednesday March 4, 8/7 Central. Tall Girls Need Not Apply for Top Model Cycle 13..
Tyra Banks is trying something new and doing away with the minimum height requirement for models (5'9 without shoes). Because for applicants to Cycle 13 of America's Next Top Model, the show is putting in place a MAXIMUM height requirement on its contestants: a whopping 5 feet, 7 inches. “There have been top supermodels in the past that weren’t as tall as the industry demands, like fashion icon Kate Moss (height 5'6 and a half),” said Tyra Banks in a press release announcing the casting call. “So we are changing up ‘Top Model’ for cycle 13 and making it a year for the shorter model!” Wow. The NEW season of America's Next Top Model (Cycle 12) kicks off on March 4. Watch below as model Anastasia teaches two young models how to walk in high heels on the runway. 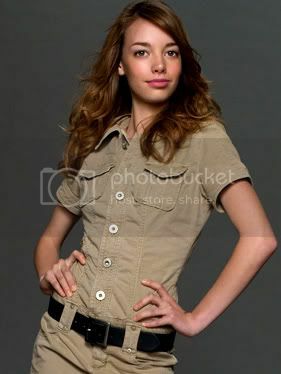 The new season of "America's Next Top Model" kicks off on February 25th and 13 new girls will be battling it out for the grand prize, which this year consists of representation by Elite Model Management, a $100,000 contract with CoverGirl, and a cover and six-page spread in Seventeen magazine. 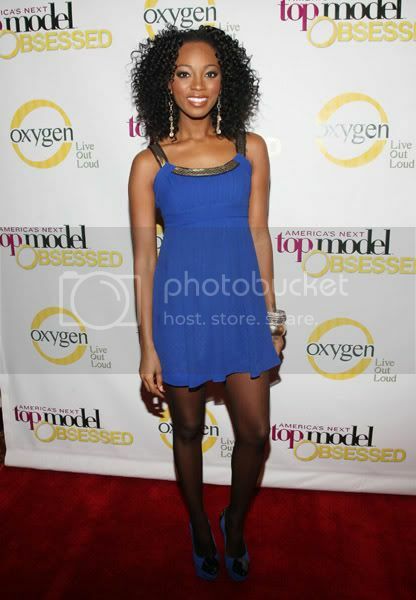 Tyra Banks along with former Top Model contestants and winners attended the Oxygen Media Launch Party for "America's Next Top Model" at Gotham Hall on January 12, 2009 in New York City. 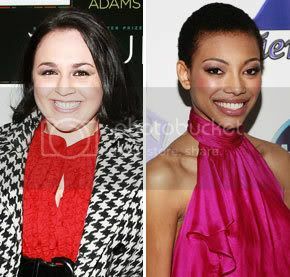 ANTM Contestant, Bianca Golden and Hairspray Star, Nikki Blonsky Cleared..
Hairspray star Nikki Blonsky and America's Next Top Model contestant Bianca Golden have been cleared of assault charges stemming from a summer arrest in the Caribbean. The girls and several family members were arrested on July 29 in Turks and Caicos after getting into a fight. "The cases against Nikki Blonsky and Bianca Golden have been dropped," Turks and Caicos Police Sgt. Calvin Chase tells E! News. "The only case that is still proceeding is against [Blonsky's] father." Carl Blonsky faces assault and inflicting grievous bodily harm charges for his role in the Providenciales International Airport brawl, which left Golden's mom seriously injured. If convicted, he could face up to five years behind bars. Chase did not give details on why officials are not pursuing assault charges against Blonsky or Golden. Blonsky is slated to guest star on Ugly Betty Jan. 8. HIV/AIDS has been a global epidemic for more than 27 years. Most of today's youth have never known a world without it. The U.S. Centers for Disease Control and Prevention recently published national HIV incidence (new infections) that showed much higher numbers than previous estimates. The time is now. Together, we can prevent the spread of this pandemic – through awareness, care, prevention, education and research. 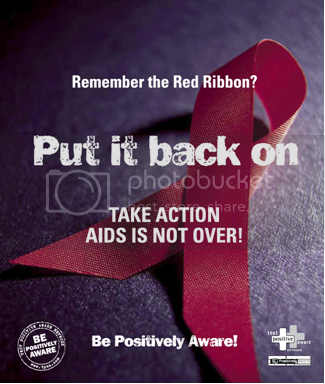 On December 1st, individuals and organizations will recognize World AIDS Day. This year’s theme is leadership – from all sectors, including government, but also leaders among individuals and families, communities, non-profits and other organizations. The question is not should you participate, but how can you? Find an HIV testing center near you. Learn the link between drug abuse and the spread of HIV. 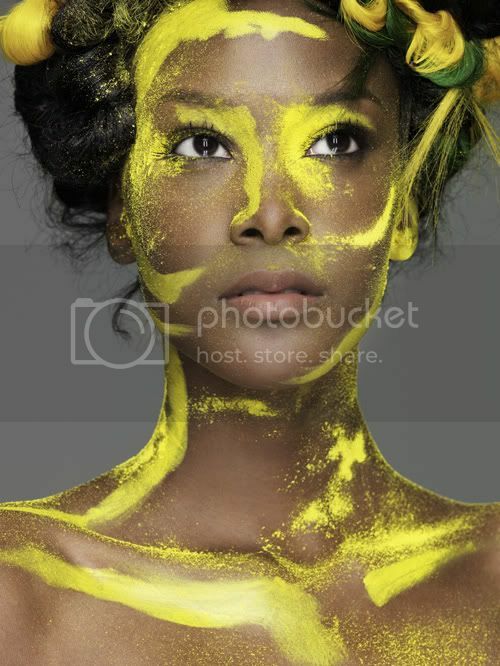 I especially like McKey's CoverGirl shot. It's pretty, but with an edge. 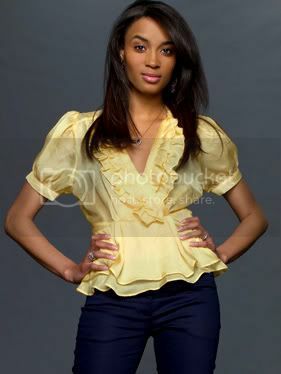 McKey is Cycle 11's America's Next Top Model! "I'm so proud of myself right now," McKey declared, after embracing host Tyra Banks and lifting her off the ground. A girl who grew up as a tomboy, McKey, 19, of Lake Forest, Ill. ended up as top model after an ability to bend her body literally backwards for great pictures. 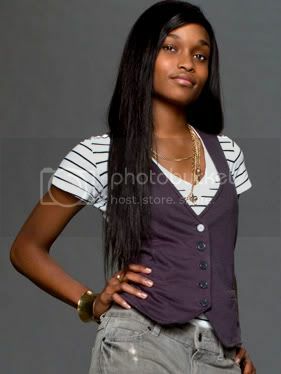 As the winner of Top Model Cycle 11, McKey wins a contract with Elite model management, a spread and cover for Seventeen magazine, and a $100,000 contract with CoverGirl. So who do you think will emerge as "America's Next Top Model" from Cycle 11? Is this a "Top Model fan page?"